In a large bowl mix together gram flour, salt, hing, turmeric powder, water and mix well to form have a batter consistency. Add soda and hot oil and mix well. Take Slice of Bread.spread sufficient stuffing on it. Put another slice of bread on stuffing and press it make like sandwich. 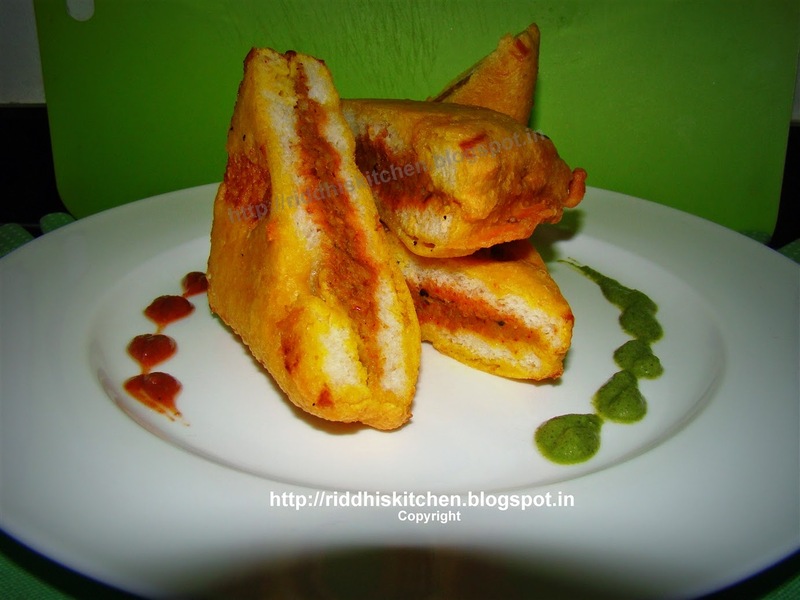 Deep this sandwich in the gram flour mixture, deep fry them till golden brown in color. Cut into triangle pieces and Serve hot with Aam ki chutney or greenchutney and dates and tamarind chutney. Tip: You can buy Dabeli masala from market.